Why is Personal Maintenance Physiotherapy needed? At PhysioWellbeing, we believe that caring for your body is just as important as going to the dentist. To elaborate, some people may think ‘Why should I bother with physiotherapy if I am not experiencing any pain at the moment?’ The revelation is that the main reason we experience insidious pain if there is no underlying illness or disease, is because our body has breached its maximum threshold and as a result the musculoskeletal* system is not functioning at its optimal level. Muscles control movement without much conscious thought process needed in healthy individuals. When we relax, there are some muscles that can switch off easily, however, there are other muscles that are unable to relax as efficiently. The muscles affected are usually caused by overuse, this shortens the muscles overtime and makes the soft tissues in the affected area become more fibrotic, therefore less flexible and more prone to injury. This explains why more people have pain as they mature and hence correlates with age because their soft tissues are more prone to reach their maximum tolerance level due to a build up of tightness. At PhysioWellbeing, we commonly hear people blame “getting old’ as the factor to why they gained an injury doing the slightest activity”. However, this maximum tolerance level can be breached at any age as there are confounding factors that can accelerate this, such as the more active one is, the more probability that the soft tissues tighten up overtime, or if someone has a biomechanical compensation then the more prone they are to overuse. The more tight one is,the more prone they are to injuring themselves over the slightest activity as their soft tissues are not flexible enough to keep up with demands of the body. When the maximal tolerance level is surpassed, the soft tissues become irritated which leads damage and an inflammatory response commences. Inflammation is essential for the body as it contains all the required nutrients to heal and repair damaged tissues, however, all individuals produce far more inflammation than we need. Excess inflammation contains adhesions, which cause the soft tissues to congeal around the injury site. If left untreated, then the adhesions restrict the blood supply to the muscles causing them to further become fibrotic and more prone to specific or non-specific injury. 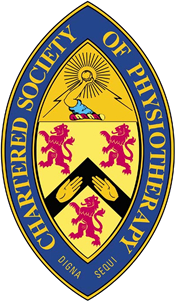 What does Personal Maintenance Physiotherapy consist of? Hands-on physiotherapy as a personal maintenance treatment prevents the soft-tissues of the musculoskeletal system muscles becoming fibrotic and revives the vitality of the soft tissues so you are more able to keep up with the demands of your lifestyle and less prone to injury in the future. Deep soft tissue massage enables the muscles to relax and less prone to overuse. Also, promoting the blood supply with deep massage enables the nutrients to filter through the muscles allowing them to maintain their quality more effectively. – An analogy used at PhysioWellbeing is that soft tissues should be replenished with blood in the same way that a machine needs to be oiled. Joint articulations are also commonly used as a treatment at PhysioWellbeing as the tightened muscles exert a pull on the joints restricting range of movement. After a treatment of deep soft tissue massage, the muscles become more relaxed so there is less pull on the joints. Articulations are then given able to free the joint further enabling more range of movement to be achieved. Biomechanics – see biomechanics page. Strength and Conditioning Program –usually is last aspect of treatment at PhysioWellbeing but it could be incorporated before with clinical reasoning by the physiotherapist. The strength and conditioning program ensures that the muscles are strong enough to support your joints to prevent unwanted stresses and decrease the likelihood of injury. Postural Advice – Consists of simple, easy tips on how you can self-manage to prevent any future aches and pains. *(Musculoskeletal system – refers to bones, muscles, ligaments, tendons of the body that enables movement and shape to the body).